CHILLICOTHE, Ohio, March 11, 2019 – The “Everyday Heroes” Kenworth T680 recently returned to the Kenworth Chillicothe (Ohio) plant, where it was built, for a two-day event to raise awareness among public officials and plant employees about the crime of human trafficking and the Truckers Against Trafficking (TAT) national program to help combat it. More than 25 dignitaries and guests, including Jamie Barker, Southeast District director for U.S. Senator Rob Portman; Pike County (Ohio) Sheriff Charles Reader; and Chillicothe Mayor Luke Feeney, attended the event. A representative from the office of Ohio Governor Mike DeWine, state representatives, judges, sheriffs, police officers, and child advocate professionals were also in attendance. The event was covered by the ABC and NBC television affiliates in Columbus, and the local Chillicothe Gazette. Visitors watched a TAT training video that focused on the stories of two Ohio human trafficking survivors, who have gone on to experience enriching lives and careers. “The two women were saved by people who saw suspicious activity and were courageous enough to pick up the phone and call the National Human Trafficking Hotline (1-888-3737-888). It really goes to show how one call can save someone’s life,” said Rod Spencer, Kenworth Chillicothe plant manager. Human trafficking is a $32 billion industry in the United States alone, and the national hotline receives calls from all 50 states, according to Helen Van Dam, TAT’s director of the Freedom Drivers Project, a mobile display featuring artifacts and video from human trafficking survivors. The guests toured the Freedom Drivers Project and received a close up look at the Everyday Heroes Kenworth T680. A plant tour also was available. The second day of the TAT event was exclusively for Kenworth Chillicothe employees, and saw 140 employees tour the Drivers Freedom Project trailer, watch an informational video, and learn about the efforts of Truckers Against Trafficking. The Kenworth T680 Everyday Heroes truck is fully loaded with a 76-inch sleeper, and features the PACCAR Powertrain with a PACCAR MX-13 485-hp engine, PACCAR 12-speed automated transmission, and PACCAR tandem rear axles. The truck will be auctioned on May 17 at Ritchie Bros. in Phoenix. 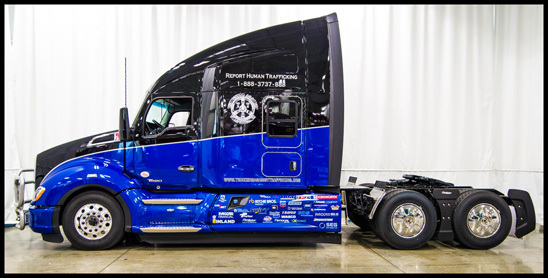 Proceeds from the sale of the T680, which has a retail value of $162,000, will go directly to TAT, a 501(c)3 non-profit devoted to stopping human trafficking by educating, mobilizing, and empowering the nation’s truck drivers and rest stop employees. 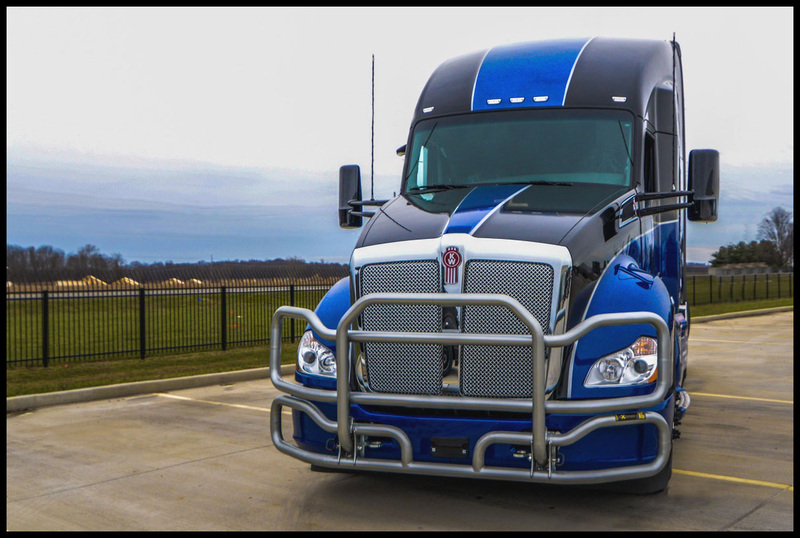 The Kenworth T680 will be exhibited at the TMC Annual Meeting in Atlanta (March 18-21) and the Mid-America Trucking Show in Louisville (March 28-30) before it is auctioned.